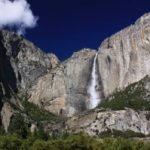 It comes as no surprise that the West Coast of the United States is one of the most traveled to destinations in the world—the main reason being that big, beautiful state called California. The Pacific Coast Highway will take you on a scenic adventure through some of the state’s most unique coastal towns, each covered with stunning beaches and their own breathtaking views. The planning has begun, and California is the next stop on your life adventure. When you find yourself struggling to tackle all of the beautiful Southern California beaches and just can’t seem to prioritize your next stop on the PCH, we have you covered. It’s time to soak up the sun and breathe in that refreshing salt air, as we highlight the top five beaches in Southern California. 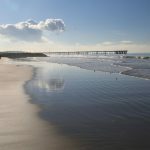 Nestled in the heart of Orange County is one of California’s most culturally rich and visually pleasing seaside towns. About an hour and fifteen minute drive from metropolitan Los Angeles, Laguna Beach boasts some of the nicest views along the coast, dappled with rock-lined coves and colorful beaches, the town’s eclectic mix of art culture and modern fashion brings millions of tourists within its city limits every year. Laguna’s white sand beaches are perfect for picnics, evening strolls, and humid beach days, particularly since the water remains a warm crystal green throughout most months of the year. Substantially different fromthe aforementioned coastal sensation, Venice Beach offers a completely different experience than that of Laguna’s beachy vibes. A collection of diverse sights, sounds and people is what makes Venice Beach so special. Venice Beach is unlike any other beach in the wrld thanks to its boardwalk acts, urban street circus and melting pot of weightlifters, hippies, basketball players and everything in between. It would be a vast understatement to call Venice Beach a people watching heaven. It reality, it’s nothing short of a coastal explosion of all things incredible. 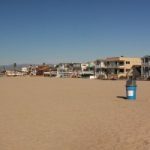 Once you have conquered the beaches of Venice, it’s time to take your watchful eye to Santa Monica, where you will find no shortage of seaside fun. The Santa Monica Pier is the festive center of this coastal town, complete with amusement park rides, aquariums, games and good old-fashioned boardwalk food. As you work your way south down the Pacific Coast Highway, you certainly won’t want to miss the beautiful town of La Jolla. The town sits amidst the cliffs of San Diego, playing home to some of the nicest landscape views in San Diego County. 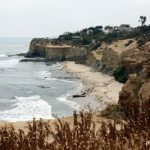 Great for scuba diving and underwater adventure, La Jolla Cove offers a small crescent of sand tucked between sandstone cliffs, allowing you to properly soak up all that the town has to offer. Situated in southern Orange County is one of So Cal’s most famous beaches, for surfing, beaching and everything in between. Salt Creek offers forgiving waves for surfers and swimmers of all levels, sure to be the perfect place to bring the family for a day of fun in the sun. 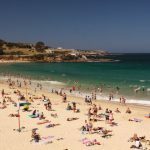 This beach offers a beautiful park atop the hill, a tasty snack stand, crystal blue water and all types of fun activities for you and your travel companions. The utter beauty of California’s coastline may see you packing your bags for the West Coast for good, but if you just so happen to return home craving a little more of that salt air and ocean breeze, let CityPass show you some of most enjoyable Southern California attractions with the aforementioned beaches.